And with a stitch or two a bonnet has been made out of me. And then I will be tucked away to await the wedding day. 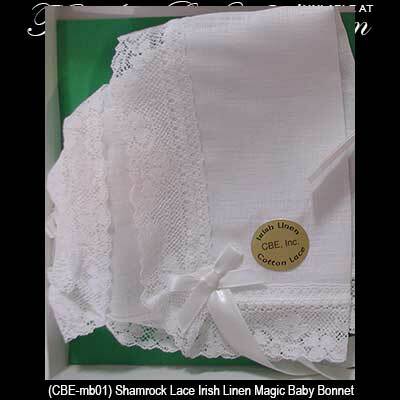 For every bride needs something old and surely I will be. 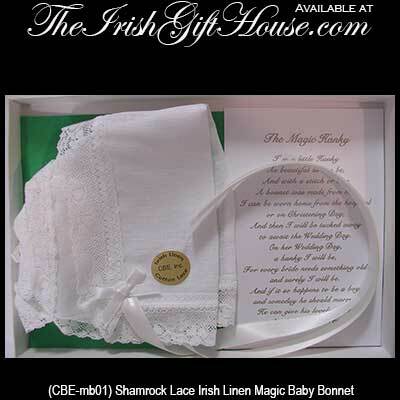 He can give his lovely bride a hanky she can carry. 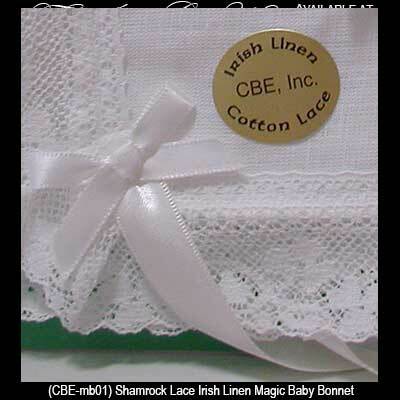 The Irish magic baby bonnet is a baptismal baby bonnet today and by removing a few stitches it will be an Irish bride's wedding hankie later. 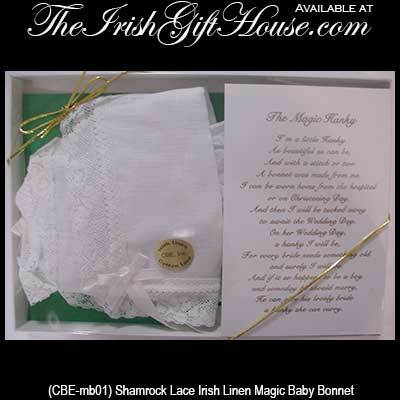 The made in Ireland baby bonnet features a 100% Irish linen center with a white shamrock lace border and it is gift boxed with a shamrock history card, complements of The Irish Gift House.